Insatiable demand for Star Wars, Jurassic World and Avengers merchandise drove Hasbro's revenues - excluding currency movements* - up 13% in 2015, sending operating profits up 9% to $692m. The toys titan grew sales across its ‘boys’, ‘games’ and ‘preschool’ divisions but suffered a sharp decline in the ‘girls’ segment. 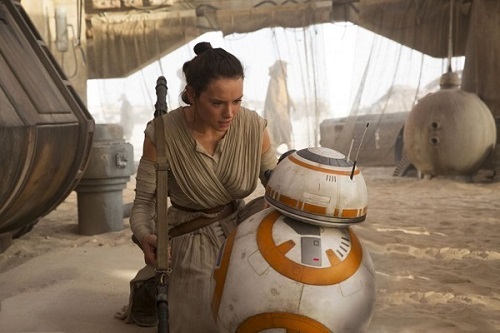 Huge anticipation and the global success of Star Wars: The Force Awakens helped Hasbro rack up $500m in Star Wars sales - in line with 2005, when Episode III was released. Nearly half of the brand's sales came in the fourth quarter, reflecting the latest movie's December premiere and holiday gift-giving. Star Wars also accounted for over half of total overseas revenues as it benefited from the new movie's worldwide release and an international fan base. Management highlighted strong demand for Kylo Ren’s lightsaber, new action figures and the black series (see below). It expects new products, the release of the latest movie on DVD and Blu-Ray and the franchise's next installment - Rogue One - to fuel similar sales in 2016. Star Wars wasn't Hasbro's biggest brand last year; NERF took that title. Sales of the foam-dart guns leapt 13% as fans snapped up new products such as Modulus, a customisable, motorised blaster. Together with strong demand for Star Wars, Jurassic World and Marvel toys, it drove sales in the 'boys' business up 30%. That was despite lower sales of Transformers products compared with 2014, when Transformers: Age of Extinction came out. Brisk trading in Magic: The Gathering pushed sales up 8% in the ‘games’ division. 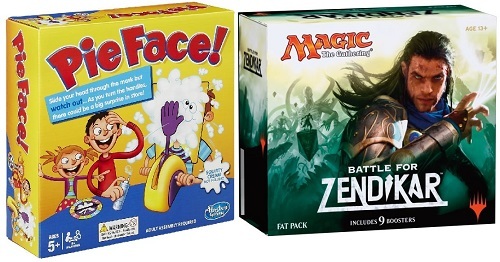 The popular trading card game benefited from the release of Battle of Zendikar, which had the strongest start of any expansion in the brand’s 13-year history. Its longevity is no accident - Planet Money did a great podcast on the brand's success in 2015. Board games Monopoly and Pie Face also performed well. Jurassic World, Star Wars and Playskool sets, together with the Dohvinci range of design kits, fuelled a 32 per cent rise in sales of Play-Doh, helping the putty brand post a third straight year of record revenues. That was key to a 28% rise in pre-school turnover. Hasbro's weak spot was its 'girls' business: sales slid 13% due to dwindling demand for Furby and tepid interest in Equestria Girls, which reimagines My Little Pony characters as teenage girls. Strong sales of the original My Little Pony and Disney's Descendants - the sons and daughters of Disney villains such as Jafar and Maleficent - failed to offset the damage. The segment's salvation could come from Disney Princess and Frozen dolls. Hasbro began selling those in January after snatching the franchise rights from rival toymaker Mattel in September 2014.